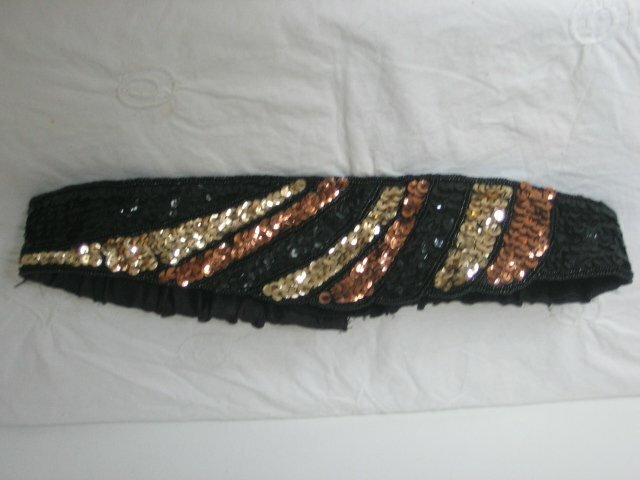 Vintage1970s/80s gold sequin waist belt. 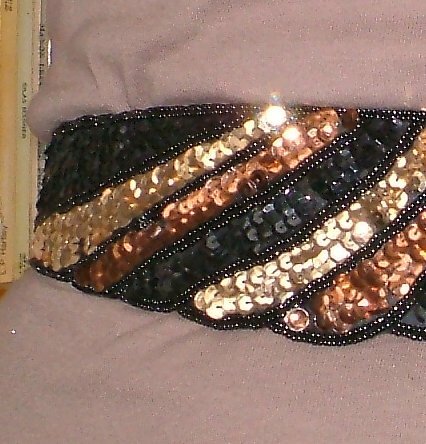 Here is a startlingly sparkly sequinned belt from the late 70s or early eighties to brighten up any outfit! 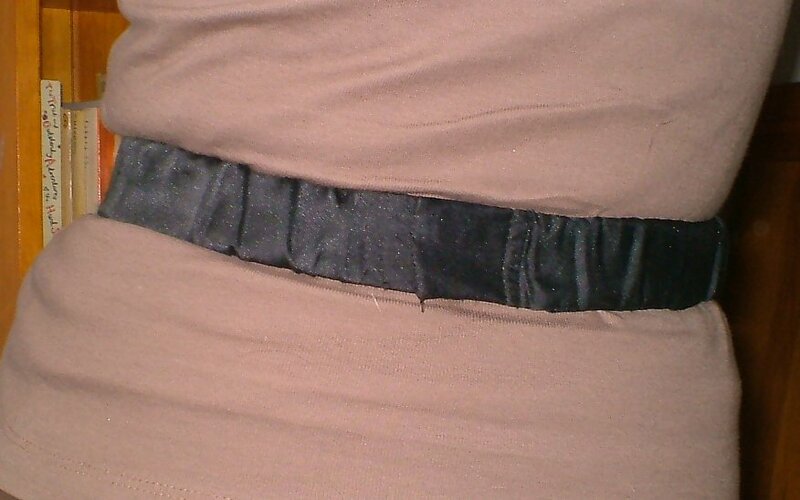 The band itself is black satin over elastic, with black, gold and bronze-coloured sequins. These colours makes it extremely versatile as to the colours you can wear it with. Tiny beads (the sort we used to call 'lovebeads' in the sixties, if you're old enough to remember!) 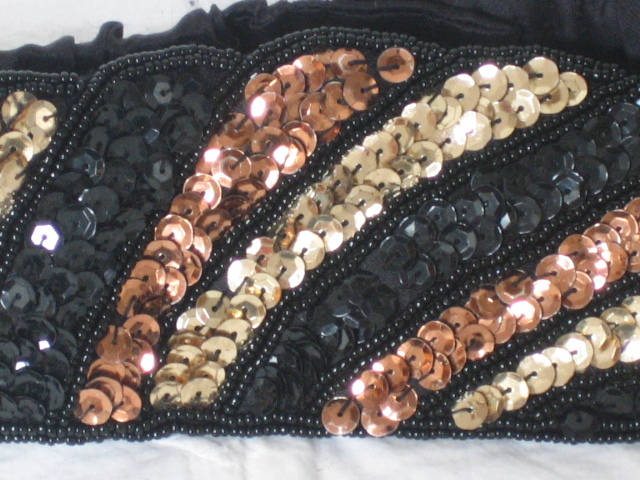 edge each sequinned section. 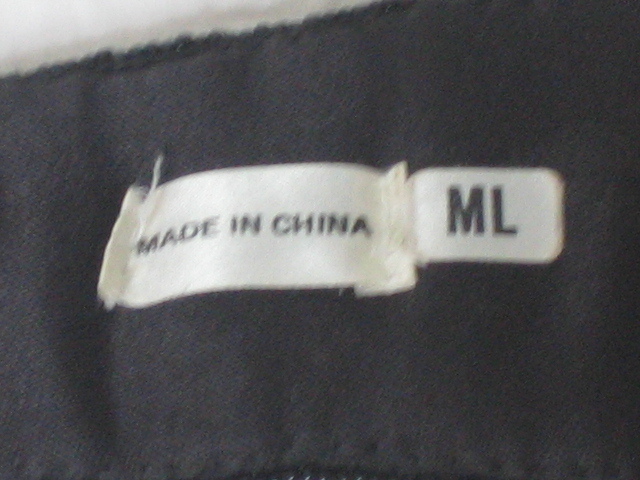 While the top is straight, the bottom edge has a gentle, scalloped curve which makes it flattering to wear. 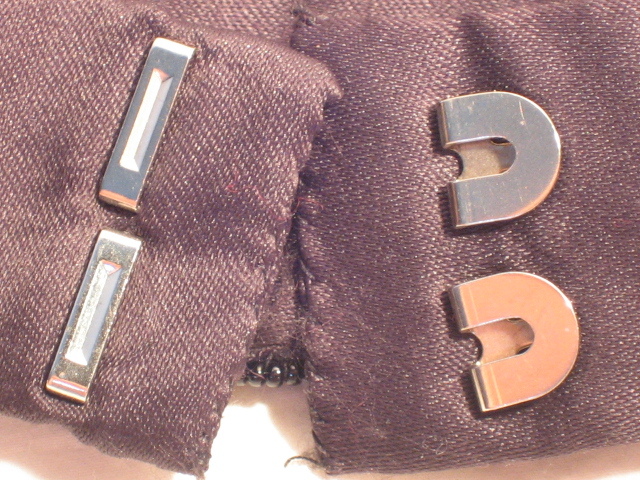 It fastens at the back with two sturdy hook-and-eyes.